Generate your own pollution-free power. 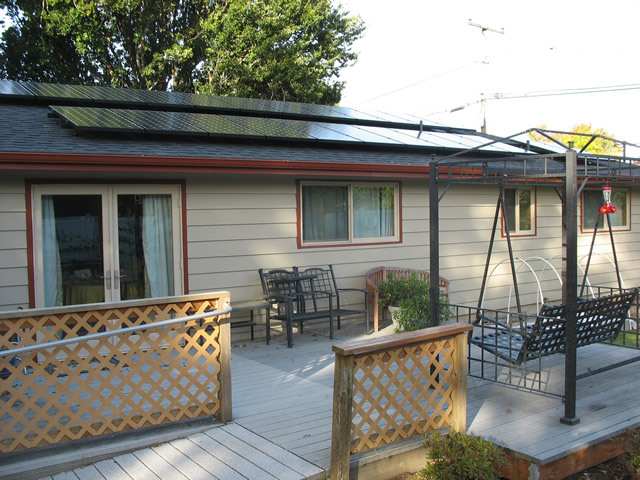 Your solar electric system will reliably produce electricity for many years. Buy 25-40 years of electricity at today's prices and rebates. Solar electric systems are a capital improvement to your home and can increase resale value; they are exempt from property taxes. Contribute to a cleaner and healthier environment and help reduce fossil fuel emissions. Energy Trust Incentives have been decreasing monthly, you must have an Energy Trust Trade Ally reserve the current incentive rate (done by Solar Ki, LLC when contract is initiated). Smaller utility co-ops which include Central Lincoln PUD, EWEB, PGE and PAC offer incentives with varying maximums. State of Oregon Tax Incentives have expired as of Dec 31st 2017. 30% of net installed cost - no cap!